Do not use GPS--it will take you out Hwy. 96 West! 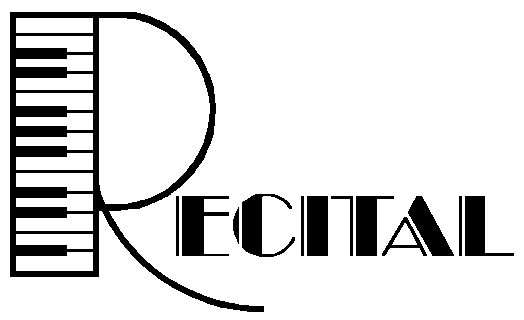 Recital is held twice a year (in May and December) as a celebration of learning. 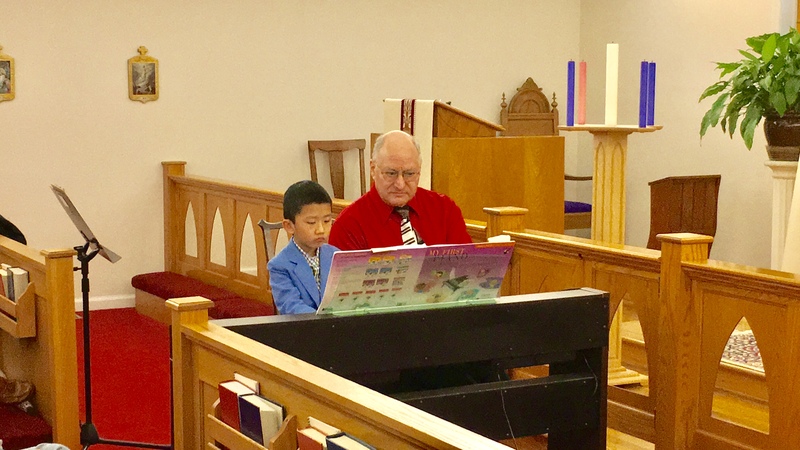 Playing for others develops performance skills, builds confidence, and lets kids share what they've learned during the semester. Participation is expected of all students through high school age. Memorization is encouraged but not required. Due to the stress of being on stage, I insist all players have their books or sheet music on hand as a backup resource. Even if you don't feel you need it, the pressure of public performance can cause memory slips, so having your sheet music on the stand can save the day. 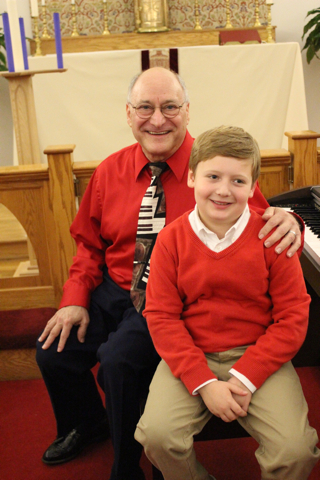 Many recital pieces are student-teacher duets. You must bring your book if you want me to play the duet with you, as I do not have time to memorize dozens of duet parts. Dress nicely as you would for church, temple or any special affair. I encourage children to wear the traditional clothing of their ancestral country if they wish. Arrive 10-15 minutes before the recital begins to find parking and seating. Remember your book as a backup, even if your piece is memorized. Books are required for all teacher-student duets. Students should sit with their relatives during the program. Remember to turn off cell phones and pagers—or set on vibrate. When your name is called, walk calmly to the front and sit on the bench. Do not bow before you perform--only afterward. Take a moment to think about your piece before you start. Find your hand position and maintain good posture. If you make a mistake, stay calm. Try not to make a face. Just continue and most people will not even notice. If you lose your place, find a good starting spot and finish gracefully. The audience should respect every player and remain quiet during each performance. Non-flash cameras and video cameras are allowed, but flash photography should wait till the performer is finished. When done, look at the audience, smile sweetly and take a bow or curtsy. Then walk back to sit with your family. 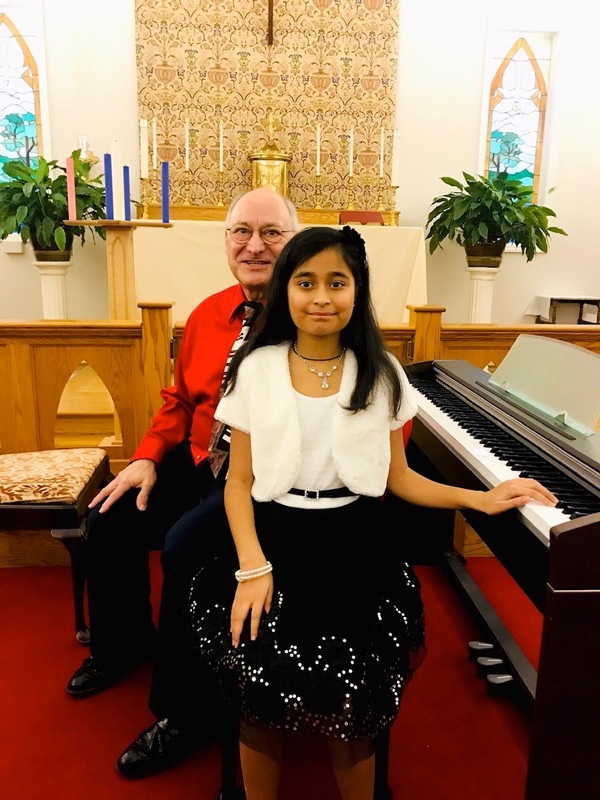 Please stay for the entire recital and enjoy the performances!